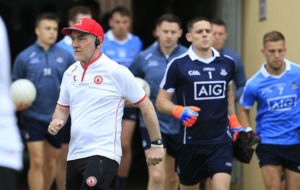 A fourth All-Ireland SFC triumph for Tyrone understandably won't be universally welcomed - even against dominant Dublin. Irresistible fourth for Dublin? Or the fourth with Tyrone? 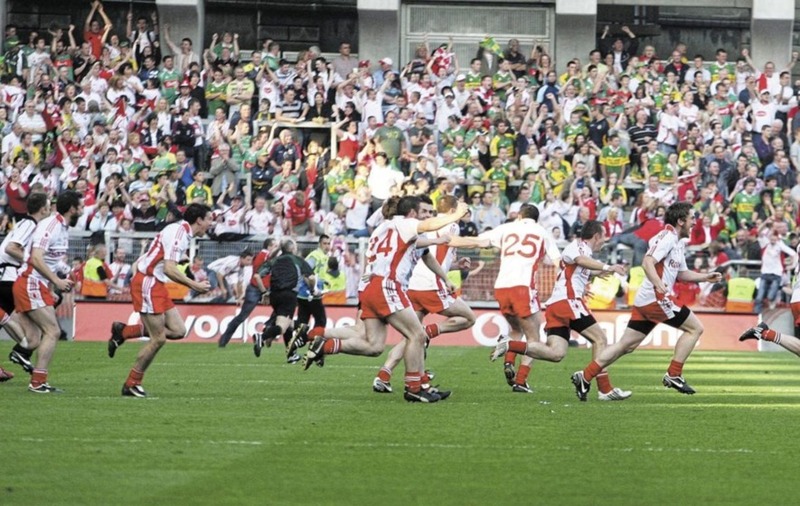 Tyrone ousted Ulster champions Donegal from the All-Ireland Championship this year. STOP, now, what's that sound? Basically, a lot of people are pooing their pants about the prospect of Tyrone winning the All-Ireland SFC this Sunday. Of course, obviously it's not going to happen...is it?! Dublin, aiming for a fourth consecutive triumph, are red-hot favourites to inflict a fourth consecutive SFC defeat on the Red Hands. 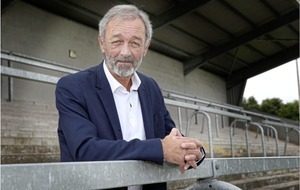 Yet if Mickey Harte's men somehow managed to pull off a huge shock there'd be more than a few red faces – and a few red-hot fingers and thumbs deleting Tweets and Fakebook posts. The wailing and gnashing of teeth that would greet such an outcome would be music to my ears. The much more likely joy that would greet another Dubs' success is easy to deal with, entirely expected as it would be. People talk about the politics of envy but sports fans are worse, rivalry fuelled by envy. To have a clearer view of the world you have to acknowledge your own biases, and everyone – EVERY ONE – sees sport through the prism of their own team's colours. I'll admit I can be as intense about sport as a bunch of boy scouts on a rainy day. As I may have confessed before in print, I once kicked a hole in a sofa at the house of one of my sisters when Manchester United beat Liverpool in the FA Cup. She took it in good part as she's a Liverpool fan herself. I used to think it would be worst thing in world if Manchester United won the English league in my lifetime; well they did - and 13 blooming times. My world didn't collapse, in fact it got better, finding myself a wonderful wife and kids (even if I would have been even happier to celebrate my marriage by Liverpool finishing first, not second (to them), and then to bring my first-born up 'celebrating' his club being champions before he was out of nappies). I once advanced what I called 'the Tipperary theory' to explain the similarly widespread dislike of Tyrone, on the basis that both are surrounded by a lot of other counties. No doubt some may reel off a list of crimes and misdemeanours committed by Red Hands over the years – conveniently ignoring all the similar dirty acts and dives done by other counties too (when I expressed my fondness for the current Monaghan side to a Tyrone player of the Eighties he nearly left me as scarred as he had been by the Farneymen of that period). Those are the same sort of people who list every perceived error a referee makes in favour of Tyrone – and Tweet about it – but have nothing to say (or Tweet) when the official makes blatantly wrong decisions against the Red Hands. Ho hum. Social media breeds bitterness. The days of 'backing the Ulster team in an All-Ireland Final' aren't totally gone, but only the more magnanimous amongst us manage that now. 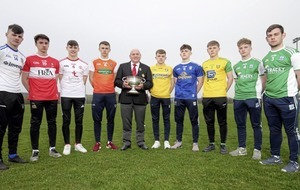 The qualifiers have made it harder, making it possible for Ulster teams to meet on the All-Ireland stage, but there are reasons for most of the other northern counties to pray for a Tyrone defeat. Monaghan are entitled to still feel sore about their All-Ireland semi-final defeat by Tyrone, the fifth major Championship defeat that the Red Hands have inflicted on them over the past dozen seasons. 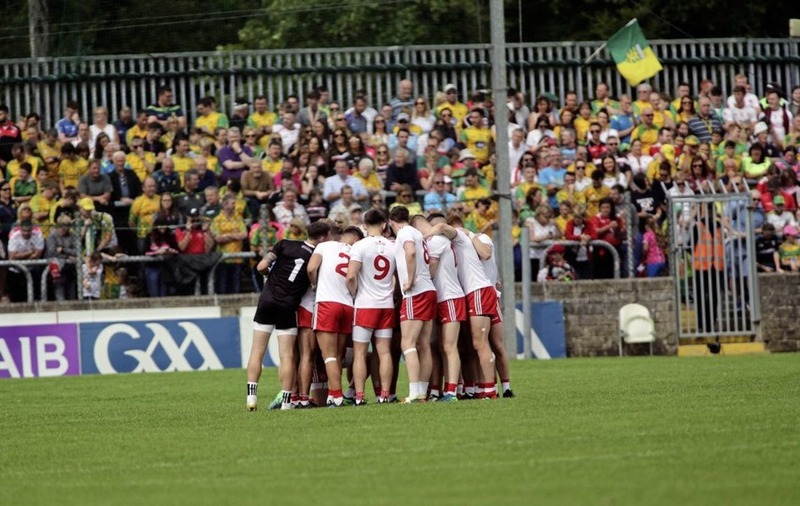 Donegal have been the most successful Ulster side in this decade, and are Ulster Champions again this year, but Tyrone ousted them from the Championship, winning in Ballybofey for the first time in 45 years. That's right, 45 years… Remind me who won the senior hurling this year? Derry. Well, there's no need to explain Derry. But they're quaking at the thought that the silver jubilee celebration of their greatest day will end in a glorious night for Tyrone. Armagh? One of their officials once summed it up well: 'We hate the ground they walk on and they hate the ground we walk on'. Taking 'Sam' off them in 2003 didn't help matters. Fermanagh haven't even won Ulster and they might have to watch Tyrone win a fourth All-Ireland. All those counties border Tyrone, which explains some of the rivalry. Even those who don't aren't necessarily fond of Tyrone. Down? The one-time (five-time?) aristocrats are fearing the Red Hands climbing closer to their place on the roll of honour. Cavan aren't too vociferous about Tyrone, but they did lose out to the Red Hands again in the Championship this year. Tipperary are sore about that U21 final. Jeepers, you'll even get the odd Meath fan bleating on about some supposed free late in the game against Tyrone earlier this year, forgetting that it's the bleeding Dubs, the Royals' arch-rivals, who are heading for four-in-a-fecking-row. Tyrone has come to symbolise Ulster, 'the black north'. However, don't kid yourselves that 'Tyrone have given us a bad name'. 'They' don't like us and they won't ever like us. It was fine when Ulster teams came down to Dublin, took their beatings, and trailed off home, leaving the finals for the likes of Kerry, the Dubs, Galway, and Meath. The southerners didn't mind so much when Down took 'Sam' back over the border, although they got rather tetchy when they kept doing it. Donegal's maiden win was welcomed, as was Derry's, and Armagh's. 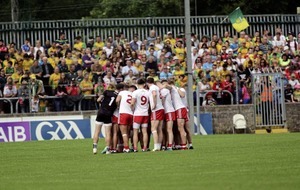 Even Tyrone's, to an extent, although they had had the temerity to outplay Kerry in the semi-final. Do you really think, though, that if Donegal, Derry, and Armagh had quickly added to their first All-Irelands, as arguably all of them 'should' have done, that such continued northern success would have been warmly welcomed down south? Tyrone were on a hiding to nothing in 1995, because Dublin were becoming desperate for 'Sam', having exited the Championship against Ulster sides over the previous three seasons. There was some criticism of Charlie Redmond's unsporting actions, and that refereeing decision to rule out the Red Hands' equaliser - but not all that much. If ever a team should have been widely vilified it was Meath in 1996, after literally tramping all over Tyrone in the All-Ireland semi-final, but the Royals were largely lauded. 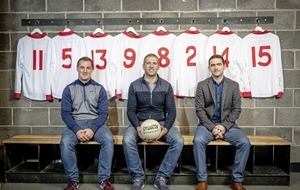 It shouldn't have taken a documentary to remind people of what great guys the Tyrone team of the Noughties were and are. So, just for the record, whenever any Ulster county reaches an All-Ireland Final, I'll support them.